Get your creative juices flowing. These versatile pages can be used to add your personal photos and memorabilia. 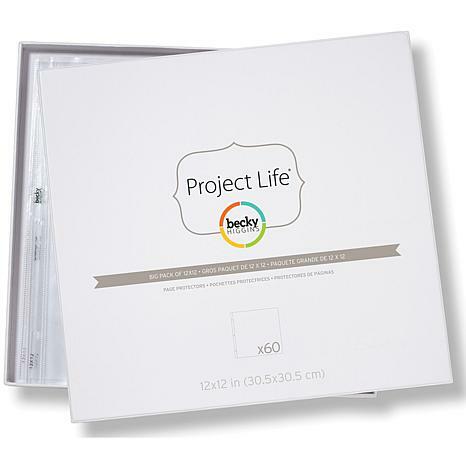 Perfect to use with your favorite Project Life album, they fit in most 3-ring 12" x 12" albums. I have several Project Life 12x12 albums. I like to intermix the Project Life pocket protectors with these full-page protectors. Theyre good quality and hold up well. As an added bonus, I love the 12x12 storage box the protectors come in. I use the box for special projects and theyre great to take to crops. 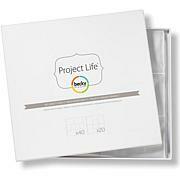 Memory Book Top-Load Clear Page Protectors Preserve and enjoy memories for generations to come. These clear protectors feature extended binding, which allows your pages to lay flat. 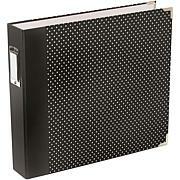 Super heavyweight material protects your often-looked-at layouts so you can keep your scrapbook pages safe and secure.